Mille Crepes- Hello everybody, welcome back with ZetiraKitchen! Today i will share about How to Make Oreo Mille Crepes with Easy Recipe. 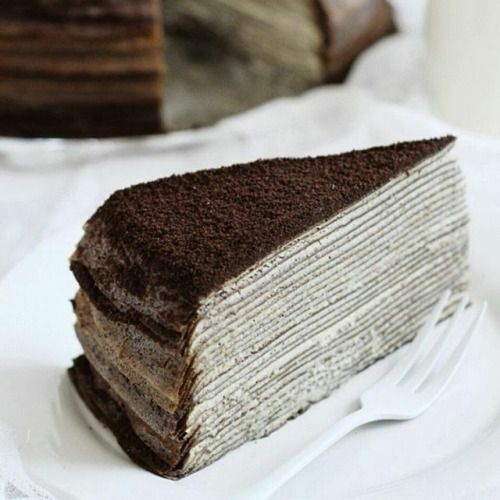 Mille Crepes is a cake made from a thin layer of crepe with cream. You can find this cake in several cafes. However, the price relatively expensive. And the good news, you can make it by yourself at home. You can choose your favorite topping to add into your mille crepes. Make mille crepes is very easy. No need oven, just a pan and a refrigerator. but it use many time and patience. You must cooked the dough one by one and add the cream in every layers. So let's fighting to make it!